Fits any size player to firmly secure one or both hands to the club. If you have any questions regarding the Grip Wrap, please give us a call, we would be happy to help you with any questions you may have. 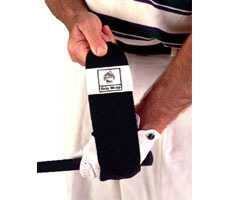 Write an online review on the Grip Wrap, and share your thoughts with others.